We remember the old days where you had to choose between using Track Changes in Word, or typesetting with LaTeX. I can't tell you what a game-changer this new feature is for me and my collaborators. 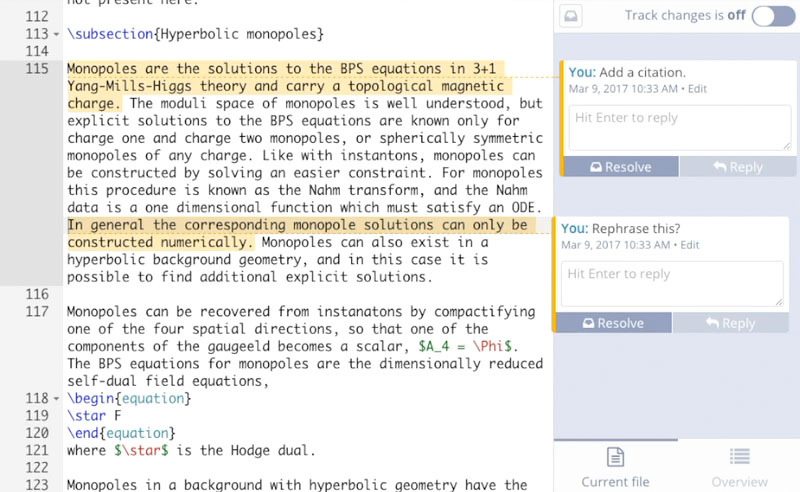 This feature puts ShareLaTeX (now Overleaf) miles above the competition, as no one else has anything close to it. 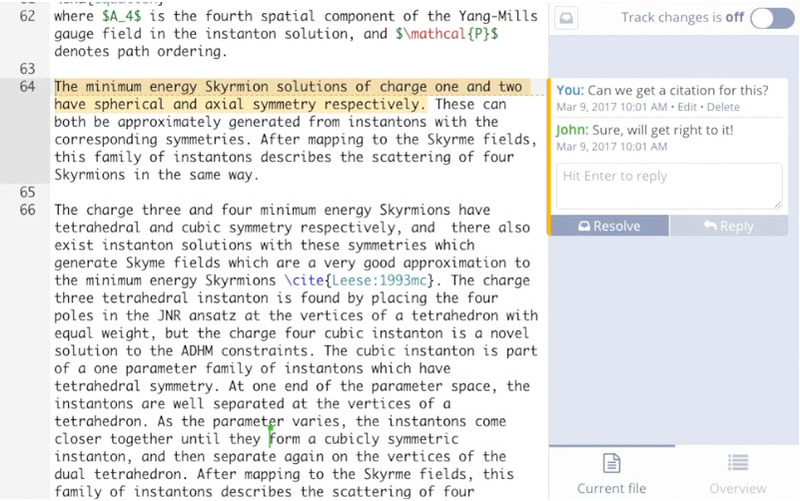 With real-time commenting, you can discuss your work without having to switch to email, printed versions or any other tool. Leave comments, give quick feedback and resolve issues much more effectively with everything happening inside a single tool. Keep track of every change made to the document, along with the person making the change. 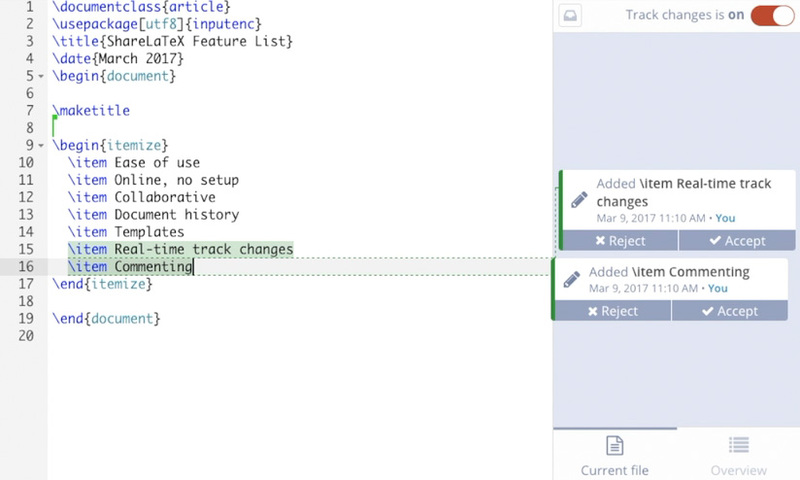 Overleaf is the only LaTeX editor with real time tracked changes. 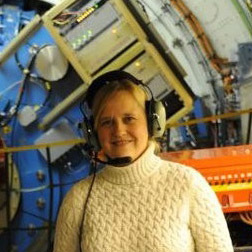 Now there's nothing holding you back from being able to collaborate using LaTeX. Keep an up-to-date list of all of the things you need to work through, without having to sift through out-of-date notes or dig out old emails. Comments alongside your work are a great way to keep a todo list, reminding you of everything that still needs to be done. Easily find what your co-authors or reviewers have changed and see how it impacts the document. Accept or reject individual changes quickly with the click of a button, and move onto the next change needing your attention. 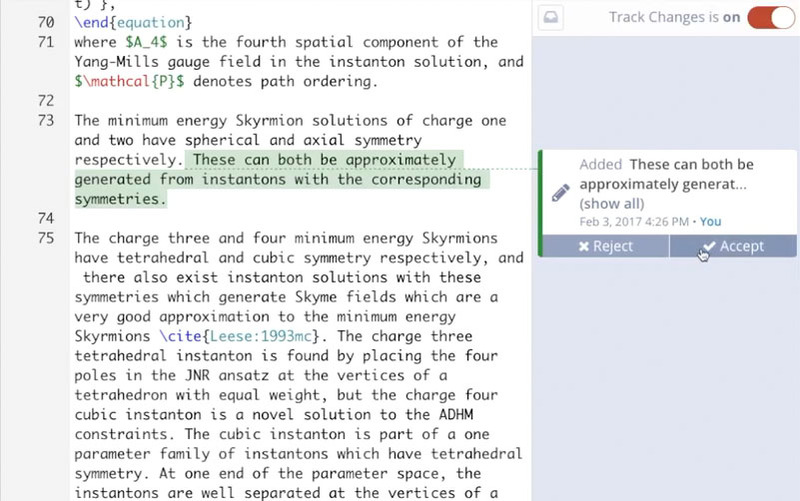 Start using Overleaf today to see these features in action. 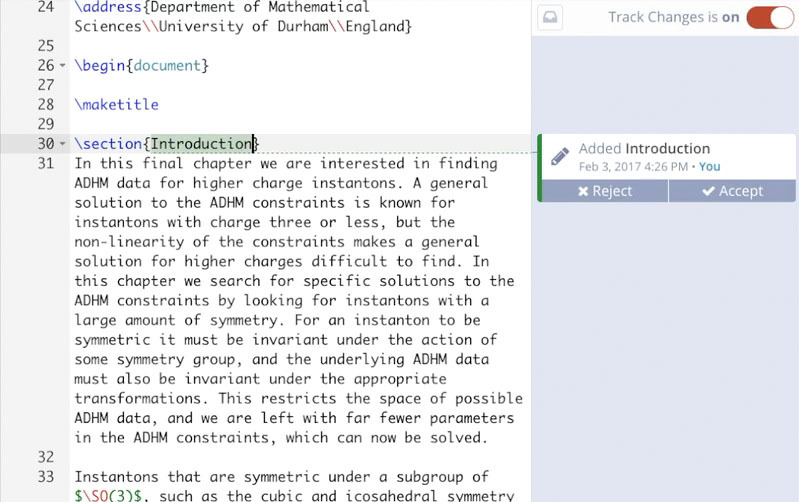 Join more than two million other people using Overleaf.